Everybody wants to live healthy but the exposure to chemical toxins can make it very difficult. There are several signs that will help you figure out if it is time for you to change your lifestyle choices. You think you are fit and healthy. But somedays, you are struggling. You are irritated and your head hurts. It may not seem like reason enough to consult a doctor but the experience of going through repeated stomach pains and irregular bowel movements are not pleasant. What could possibly be wrong, you wonder. The air we breathe, the water we drink, the food we eat, even our companion 24/7, our mobile phones have bacteria and toxins. Knowingly or unknowingly, our body is exposed to scores of toxins that affect our body and its functioning. 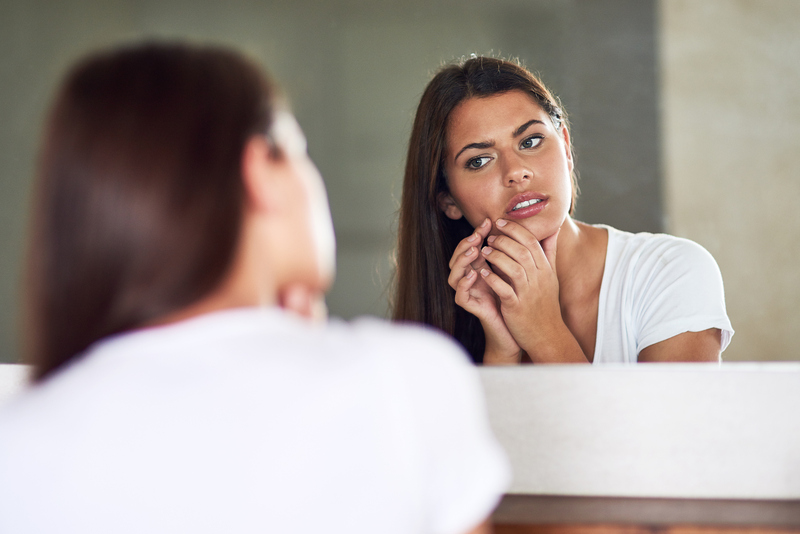 These accumulated toxins may not be immediately apparent, but cause changes in the body that show up in the form of acne, body odor, and can even cause insomnia! Below are a few warning signs of toxins in the body that will make you rethink your habits and perhaps, seek a detox. You are punctual to the gym but your body is still gaining more and more pounds. 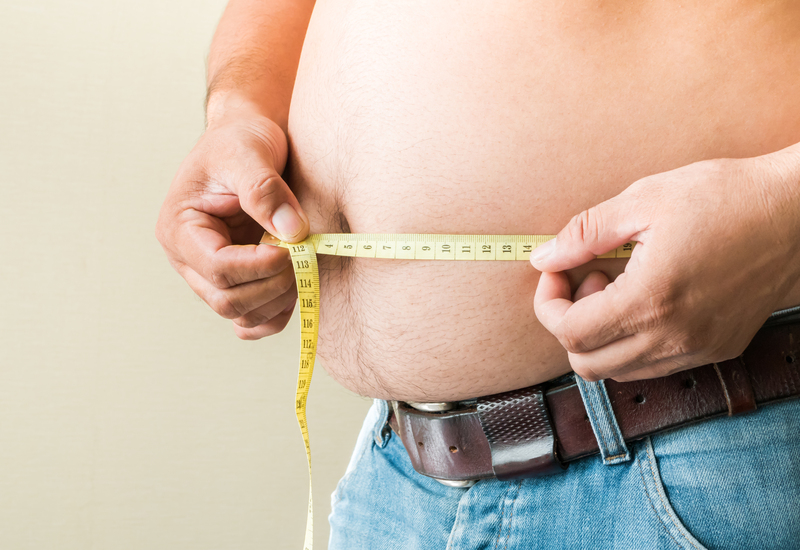 You might be surprised to know that the toxins in your body are playing a major role in your weight gain. Some of the toxins are known to affect many aspects of metabolism like disrupting the hormone levels in the body and its ability to burn calories after weight loss. It also damages hormone signals that are responsible for informing the body when it is full. Due to the damage caused by the toxins to your weight balancing hormones, your body tends to gain more weight regardless of your workout sessions. The best solution to this problem is to first detox the body and then start following an organic, healthy and nutritious diet. The food that we consume, if not watched right, can often end up being the primary source of toxins in the body. With no vegetables and fruits free of pesticides, the thought of having a chemical-free meal seems like a dream. Added to these chemicals from fresh fruits, preservatives, colorants, and artificial flavoring from our favorite street foods also sums up the number of toxins we consume every day. Our intestine that enables digestion is also tasked to take care of the toxins in our body. The accumulation of toxins in this part of the body further leads to problems like stomach ache and constipation. Replacing your junk snacks with an organic meal, drinking lots of water and limiting the intake of alcohol can help solve this problem. The mounting up of toxins in your body can make you feel exhausted, however, it can also cause disturbed sleep or insomnia which, in turn, causes severe health issues. 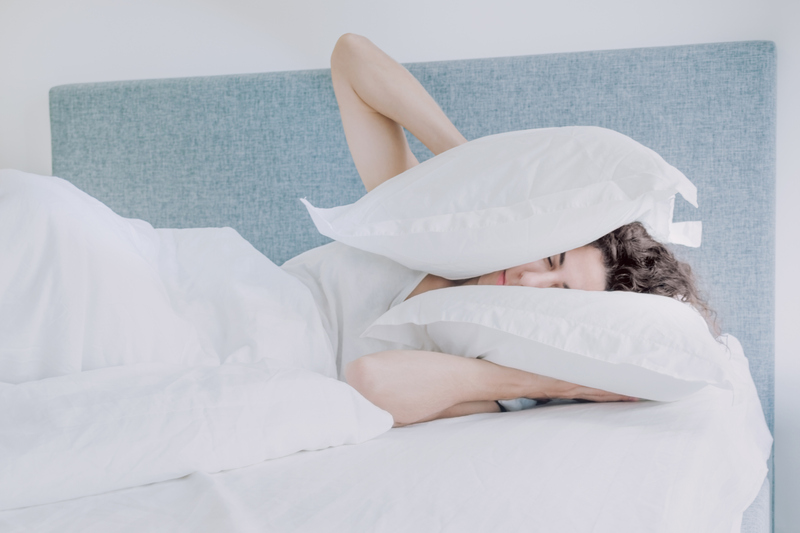 The large amounts of toxins in the body can mess with the sleep-controlling hormone Cortisol, also known as the stress hormone, that may negatively impact your sleep cycle. It is also found that heavy metals and toxins in the blood can cause insomnia. Considering a good detox is a wise idea in the case of sleeplessness. A good diet inclusive of fresh organic fruits and vegetables and basic changes in lifestyle can boost the immune system and help cope with chemical toxins. You might have just had the most chilled evening of your life, relaxing on your couch with a cup of tea watching one of your soaps on television. Suddenly, your legs and joints start to hurt. Having considered your relaxed evening, this is not a good sign. A good reason for the pain can be the build-up of toxins in your body and the presence of inflammation. We might not be aware but a lot of toxins like BPA, Phthalates, Formaldehyde and Sodium Lauryl Sulfate have been linked to oxidative stress and inflammatory markers. If you feel that there are no other reasons for an inflammation, do a detox treatment. It is a very common health problem observed in people and is mostly caused due to digestive issues. Bad breath occurs when your body cannot or finds it difficult to digest the food. Another reason for bad breath is the inability of the liver to cleanse all the accumulated toxins in the body. The consumption of toxins leaves a big burden on the liver, gastrointestinal tract, and the skin. Though these organs are supposed to help cleanse the body of toxins and when overworked, they fail to function properly. Bad breath is just one of the signs of the dysfunction of your systems. Finding ways to tackle the toxins in your body is the only way to get rid of bad breath. Body odor is usually caused by bacteria breaking down sweat. It is linked to the apocrine glands that are found he breasts, genital area, eyelids, armpits, and ear. The apocrine glands are responsible for the body odor because the sweat they produce is high in protein, which bacteria can break down easily. An accumulation of toxins and bacteria can make you smell bad. When consumed, toxins produce different gases and odors that while escaping the body can literally make you faint. The most simple ways to avoid bad odor is to give attention to personal hygiene and make a difference in your eating habits. Confusion, lack of concentration and dizziness is all that you feel. Remember, its nothing else but the toxic chemicals in your body messing with your head. We might not be aware but our eating habits can often aid the accumulation of toxins in the body. Processed food, frequently eating out, or binging on fast food have more salt, sugar and chemicals than you think. MSG and artificial sweeteners found in these foods are the worst toxins that can affect your brain. The presence of these toxins dries up the vitamins and minerals required by your body. Hence you end up feeling out of place and lost. Are you wondering how your toenails wrapped in comfy socks are affected by toxins? We forgot but gravity pulls the toxins down and sadly our toenails do suffer. The toxins travel down creating an environment for fungal growth on the toes. The dark, warm covering of your sock and the toxins present will add to the growth of fungus, thereby making your toenail brittle. Going to the nearest pharmacy and getting an antifungal cream would be suitable. However, treating your body right and going for a full-body detox is what would actually do the trick. Our skin is the largest organ in the body, and sadly, it is also the most exposed to chemicals and pollution every day. It is, in fact, the most easily affected organ of our body. Products like shampoos, conditioners, soaps, and lotions also contain harmful chemicals. The exposure to these toxins can result in rashes and acne. Many a time, the chemical products that we use on our skin like creams and moisturizers get clogged on the pores present in the skin. This may also result in skin troubles. An unhealthy diet can also contribute to this. The best way to avoid such skin issues is to switch to natural and organic cosmetics that usually do not have a harsh reaction on the skin. Hair loss is not caused by everyday chemicals but it is the work of more threatening chemical toxins like arsenic, lead, and thallium. The after-effects of these metals that are usually found in cigarette smoke can be lethal. The toxins are found to interfere with the hormones and strip the body of nutrients. the heavy metals can damage the hair follicles, leading to hair shedding and impaired hair growth. The hair loss condition triggered by the exposure to heavy metal toxins is called Diffuse Thinning. In the case of severe hair loss, make sure you consult the concerned medical professional. Disclaimer : This article is for informational purposes only and is not a substitute for professional medical advice, diagnosis, or treatment. Always seek the advice of your physician or other qualified health provider with any questions you may have regarding a medical condition.